March | 2015 | RAW GODDESS, INC.
Posted on March 20, 2015 by RawGoddessInc. There’s a lot going on today! Especially within the internal eternal. That can only mean one thing. Our consciousness is raising and shifting! The whole planet is gaining awareness and with it that means you too! Through these cycles of energy we can clear away unnecessary thought patterns and belief systems. Pisces is the collective consciousness and so we are more connected than ever! Don’t be fooled by material things. This is a spiritual awakening that is destined to happen for us All or we will die trying! The mission for most in this lifetime is to rise to the occasion and live out our true calling. Astrology isn’t just some manmade thing ya know. It’s much deeper than just fairytales. That’s why I subscribe only to real time alignments. Which has always moved through 13 constellations. These fixed stars help guide us collectively with every change and especially through these changes happening right now! What an amazing time to be alive and witness one of our most profound transformations! I’m very excited to see more interest and openness to 13 sign astrology. With satellite apps and the internet, we really don’t have any excuse for blindly staying on western zodiac. Times are changing rapidly and knowing the correct star placements really makes all the difference! Today we have a new moon solar eclipse in Pisces. Aries Sun does not start tomorrow, like mainstream western is saying. If you have a google sky map app you can verify this for yourself. The difference between Aries and Pisces is like night and day. Aries energy makes you wanna fight. Pisces energy will have you sensitive and crying for other people. As I have stated in my previous articles recently, we are in the middle of a great change. We are actively reawakening our spiritual connection with the Source. If you know anything about astrology, Pisces is the sign of the Goddess. 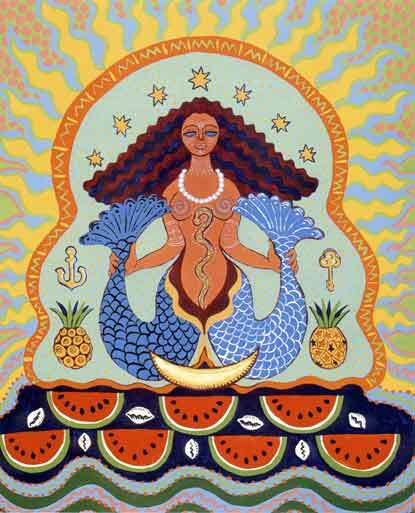 The Sacred Waters of the Feminine. The Cosmic Fish in the Sea of Consciousness. This shift in consciousness will revolutionize our relationship to women and our spiritual awareness. This is a massive transformation that will become more intensified today! New Moon Eclipses are major life changers. Especially a Super Moon Eclipse! The New Moon in Pisces today will signify a deeper spiritual integration in this global massive cleanup sweeping the earth! More spiritual groups and movements are starting to emerge, just as we women are waking up to our true power! Pisces is a very feminine and healing sign. This is a great time to honor and give back to the women around you, especially if you are a woman. It will strengthen your own truth. In the past, civilizations couldn’t survive without the women all being on one accord with basic functioning trade and or business. I do believe we are at this point again. As soon as we women make up our minds to organize, purify our tribes, and fully come together, the world will become more balanced. Pisces is the sign of spiritual unity so this will totally include men as well! The shift will happen on an emotionally quiet level first, which happens to mainly be women’s domain. The Cosmic Ocean. I’m hoping this will also signal more care and tending to our oceans. But again this really starts from within, so fasting, doing water prayers, libations and yoga on the beach, will activate the necessary drastic internal shifts that have to happen right now. For the next 2 weeks of the Pisces new Moon Eclipse Cycle, work with your ancestors in libations. Talk to your relatives that are protecting you on the other side and ask them for guidance if you are not sure what to do about something. Anything. The Pisces moon cycle is also a great time to do a deep meditation to explore our different past lives. I do readings, consultations, and classes. Feel free to join my Raw Goddess 13 signs Astrology group on Facebook. I post exclusive info in there about the secrets of astrology.